Alan and I’ve gone to Pismo Beach the last two years, but I think we’re in need of a new Fourth of July tradition. Maybe we’ll eat cheese and watch fireworks at the park tonight if we’re feeling adventurous. My friend Lauren said the tradition where she used to live in San Diego was to have a big marshmallow fight on the beach right after the fireworks. Sounds like such a fun (and squishy!) way to end the night. 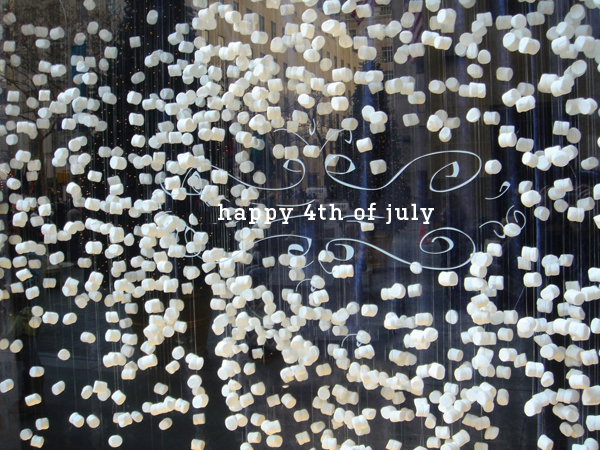 Do you have any Fourth of July traditions?